drawn before your altars to sing your praises. 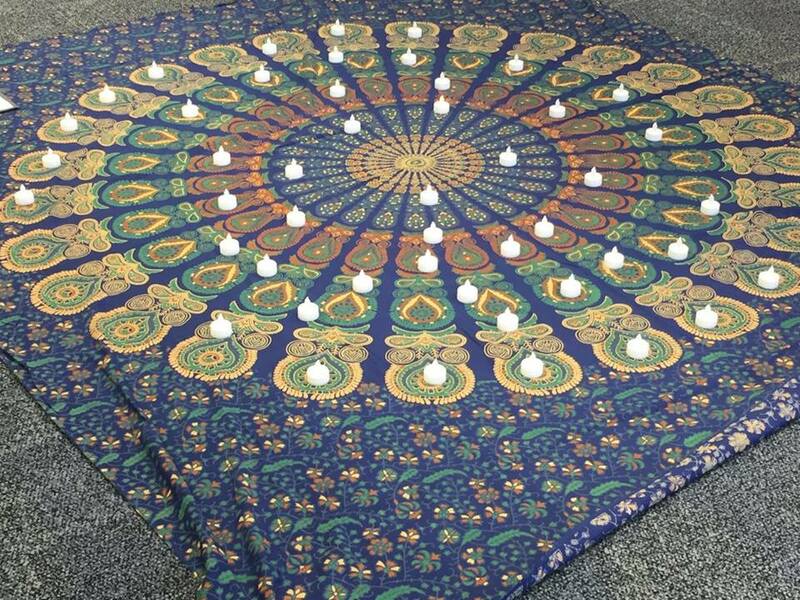 to produce abundant love and healing for the world. and live into your dream for us. as faithful witnesses and healers in the kingdom of heaven. and uphold and bless those whose hope is in You. Parables are amazing. They can be as short as a sentence, or as long as a short story. The ones we have from the gospels are hundreds of years old, and yet they still fascinate us and frustrate us in equal measure. Jesus’s parables are a tantalizing mix of familiar and strange, “old and new,” as he reminds us at the end of today’s gospel. 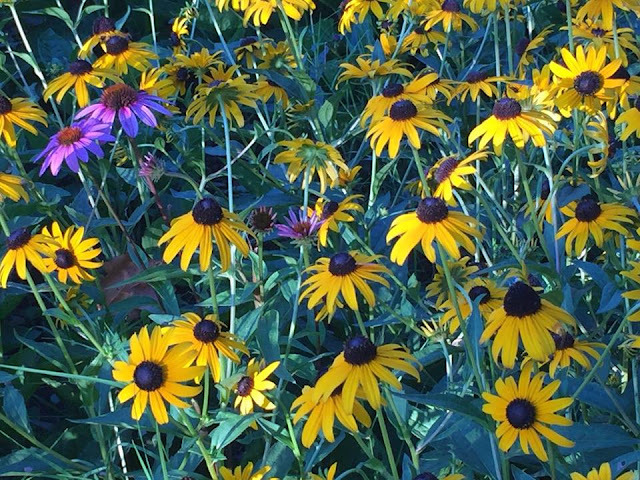 Parables paradoxically are meant to help us understand by first puzzling the heck out of us. As a former middle and high school teacher, I admire the boldness of Jesus’s teaching style, and I also sympathize when his students complain that they don’t understand, as we heard in last week’s gospel. He even includes what we in the teaching profession call a “comprehension check” there at the end: “Have you understood all this?” Jesus asks. When they lie and say yes, he rewards them by ending with yet ANOTHER paradoxical statement for his disciples to wrestle with. One of the biggest issues we face with hearing these parables now is that we live in a different context than that inhabited by Jesus and his disciples. Gardening is now an avocation, a hobby for most, rather than a necessity. The same holds true for baking or fishing. That’s why it’s important to remember that every act of reading, every act of learning, is an act of interpretation. Jesus’s use of parables reminds us that scripture cannot be studied in a literal manner, because the parables themselves are not meant to be taken literally but instead to open us up by shaking our preconceived notions up and turning them upside down. To be heard In OUR time. And she says this as the first sentence of a book on parables. Thank God. I think that is about as perfect a sentence as I have ever seen from a theologian, especially since theologians as a profession are often not inclined to try to make anything they say easy to hear or understand. Remember, the Apostle Paul was a theologian, as well as being a missionary and apostle, and his sentences aren’t exactly what I’d call “light reading.” So here we have another interesting juxtaposition: parables SEEM simple, but aren’t, and theology often LOOKS difficult, but it shouldn’t be. God is complex enough, without making explaining God impossibly dense. And here’s the rub—as Christians, we are all called to be theologians, to study and interpret God for the life of the world. Sorry, but that’s the truth. Our faith only has meaning if we turn it outward, for the good of others. In the end, these parables and theology share the same purpose: to help us understand more about God. Elsewhere in her book, Sallie McFague points out that, as God Incarnate, Jesus is God’s own parable. Jesus seems to be a simple carpenter living in the middle of nowhere, and yet as our risen savior, he is alive with us today, and means far more than we can understand in our own lifetimes. Jesus’s meaning is as infinite and at the same time as intimate as God’s love for us, because Jesus IS God. It’s a lot to take in, I know. It’s similar to how you feel when you see some amazing natural wonder or work of art: there is too much to take in all at once—it’s impossible. So either your eye darts here and there, or you focus on one tiny rectangle of the panorama to the exclusion of everything else. The enormity of the grace and mercy of God is similarly vast. It’s probably wise to try to break that huge truth down into little snapshots, or we’d get overwhelmed. 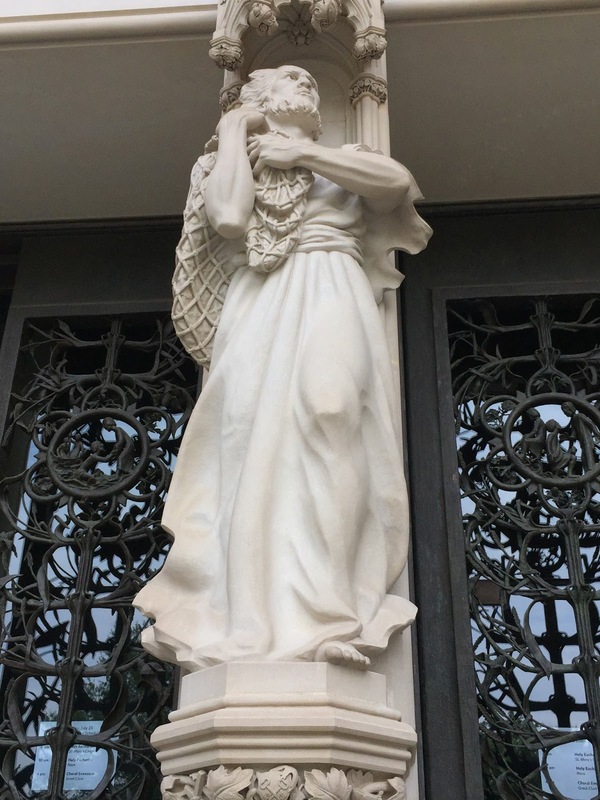 We get six little snapshots to puzzle over in this week’s gospel alone, and that’s after the Parable of the Sower two weeks ago, and the Parable of the Weeds in the Field last week. So what can we say about what these parables today have in common? Well, if I was going to give these a common title, it might be this: “Little Things Mean a Lot.” We see tiny seeds become big plants, and little birds being given a home in that plant. We see little grains of yeast making a feast’s worth of bread. We see a tiny pearl being something valued far beyond its size. 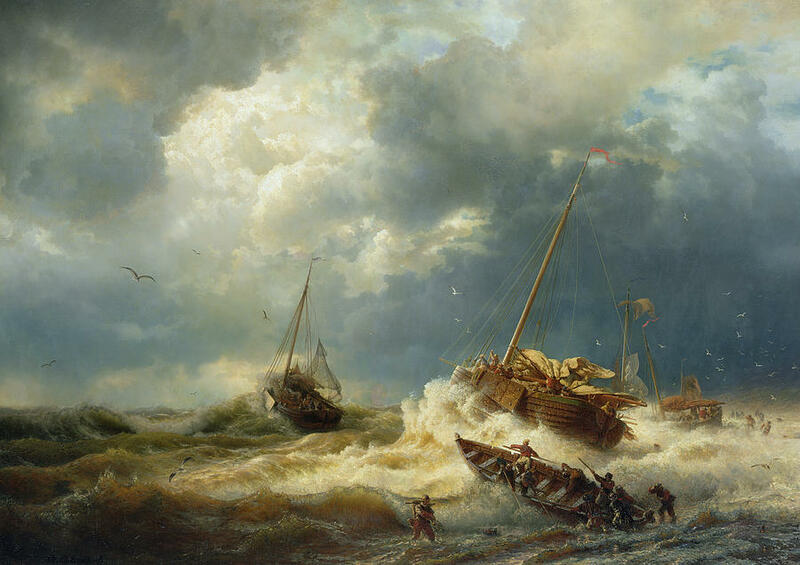 We see a small net thrown into the vast sea and delivering a bounty, both good and bad. Over and over, we are told, “The kingdom of heaven is like” one of these things. I’m going to concentrate on just one of these, the mustard seed, so we won’t be here all day. You’re welcome. So what is the kingdom of heaven, a phrase used particularly by the author of Matthew? 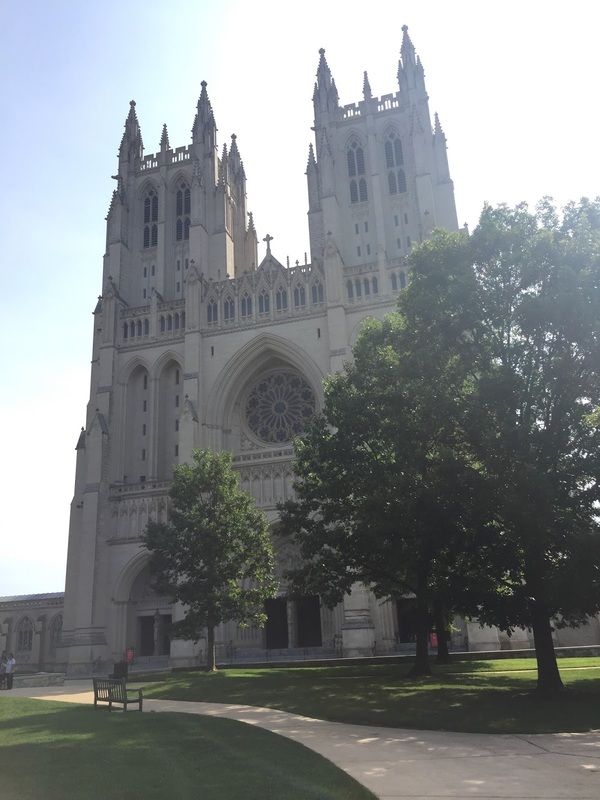 The kingdom of heaven has to do with the reign of God, and in particular, with the transformation that we set out to work toward when we declare ourselves as members of what Presiding Bishop Michael Curry calls “the Jesus Movement.” Specifically, Jesus is talking about the response of the world to his teachings in these parables. The kingdom of heaven grows when the Word of God is welcomed, received, nurtured in the hearts of people just like you and me who do the incredible thing of committing to make way for God to rule our lives. Talk about counter-cultural, especially in this day and age of self-help, even sometimes self-worship. Hearing the brief parable of the mustard seed, Jesus’s listeners had to be confused. A couple of mustard seeds could take over your garden. It grew like a weed, and if you’ve been listening for the last two weeks, weeds are not considered to be good things, whether in the time Jesus was teaching or now. A mustard seed is so small, a gardener could probably completely forget where she planted it (this happens to me all the time with bulbs, especially)—until the shrub begins to appear weeks later. (Teaching is often like that, too. The lessons we present are not always the lessons received, and sometimes that plant won’t flourish until after the student has left the school altogether. Patience is required—and often, getting out of the way to give the plant room to grow in the student’s understanding.) But later, this seed produces enough to provide a home for dozens of birds. In addition, mustard was used as medicine from ancient times—it was believed to help with digestion and in fighting the common cold, among other things. Thus mustard plants, while perhaps not the prettiest thing to look at, nonetheless furnish good things in abundance. The mustard seed also reminds us about grace. 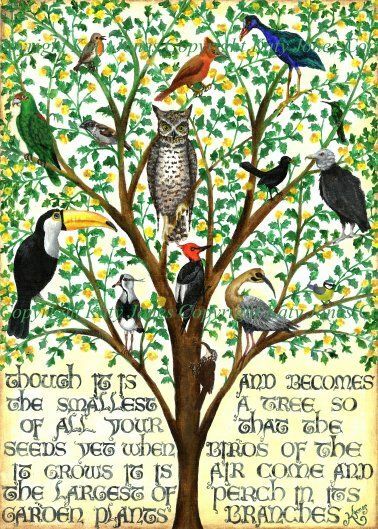 The birds find their refuge in the branches of this new tree, sprung up through God’s goodness, just as we find our refuge within the kingdom of heaven ourselves, as theologian Amy-Jill Levine reminds us in her book about the parables of Jesus. We do nothing to earn this—God’s love and care is there for us through no merit of our own, but simply as a result of God’s abundant grace and mercy. This free gift of grace and mercy, borne out of God’s love for us, is important to think about in a world in which we too often try to reduce everything to that which can be bought or sold. God offers us refuge and a home because of love—nothing more, and nothing less. And so we are called do for others. God offers that refuge and home not for our sake, but for us to be strengthened to minister and witness to God’s love in the world. Abundantly. Against every impulse of the world we live in, where we are taught to be afraid, to fear scarcity, to feel small, insignificant, and overwhelmed, until the doubt beats like the tattoo of our hearts racing through fear, or resentment, or pain. Actually, put that way, those are the same fears that confronted Jesus’s listeners. 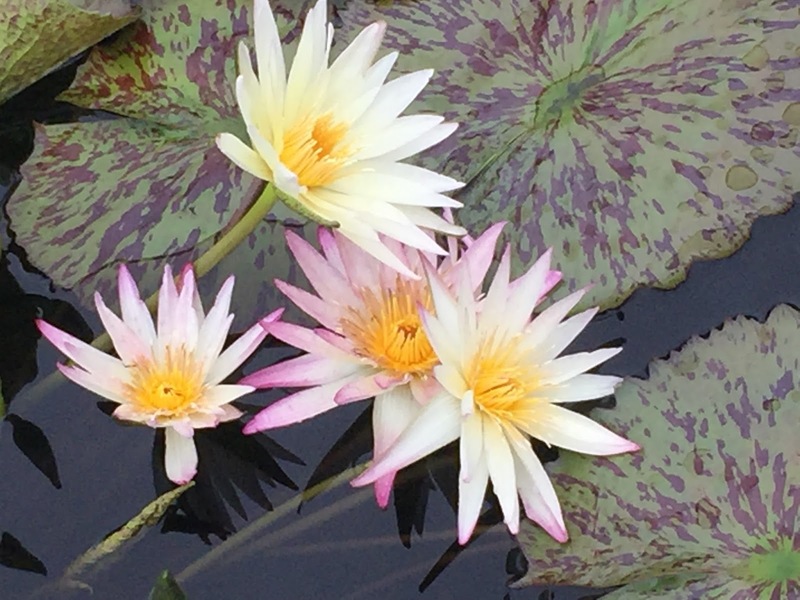 In the face of those fears, God calls them AND us to come to be fully ourselves, to fulfill the dream God has for us to be fully alive, through being conduits or channels for God’s abundant love, grace, and comfort. As Christians, we are called to have faith in little things, because from little things, great blessings grow. So it has been with the gospel throughout time. How do we return to Sallie McFague’s challenge, to make it possible for the world to hear anew the gospel in light of the challenges of our own time? In Jesus’s lifetime, only a few dozen people, perhaps less, took in his message and stuck with it all the way through the crucifixion and beyond to the resurrection. Yet here we are. Called together as Christ’s body, the Church to translate and proclaim and embody God’s love for everyone. The “church” as we know it did not exist in Jesus’s lifetime—not even close. The church as we knew it in our lifetime, won’t continue the same as it has been in our memory. That’s why the metaphor of the mustard pant is also enlightening to us. 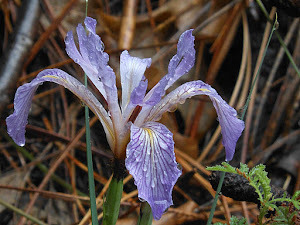 Living plants grow, and subside, season to season, year to year. With patience and care, they grow again, becoming something new. The growth of plants --or the church-- can’t be rushed. This small bit of seed—Jesus’s radical, transforming message on how to live fully into our God-given humanity as children of God, was mostly ignored if not scorned when he was teaching it—and yet becomes a plant thousands of times its original size. The Church—and that means US, not buildings or hierarchies, but you and me together as Christ’s very body in the world—at its best and by its true purpose--offers a home to the weary, the oppressed, the hurting, the seeking, as well as to the comfortable who search for meaning. It offers its branches to the world so that all may be strengthened and transformed through the hope that is Christ Jesus. Just like the mustard plant, we are at our glory when we are a blessing for others, by our very nature as the Church, no matter what that looks like. Jesus teaches us how to grow and flourish just like that mustard plant—and if we are the good soil, we learn how to really live, and really love and be loved so that Christ’s gospel spreads its branches wide like a net. And by that love we are healed, individually, and as a community. Preached July 29 at the 5:05 at St. Martin's-Ellisville, MO and July 30 at Grace- Louisiana, MO. 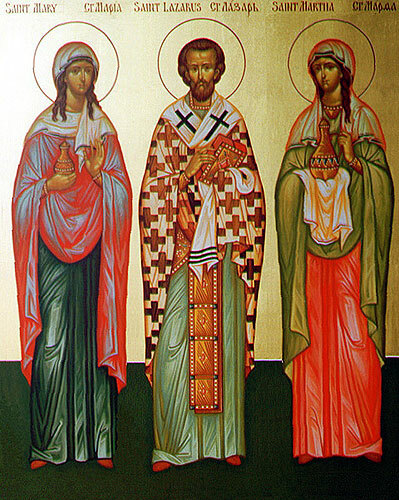 Martha, Mary, and Lazarus of Bethany. we ask that you bless our endeavors today. and brought to new life through Christ our Lord. may we hear and respond with wonder and joy. and be guided by your Word and Wisdom. make us your hands in the world. and give us power to walk into the light of Jesus. over those for whom we pray this day. 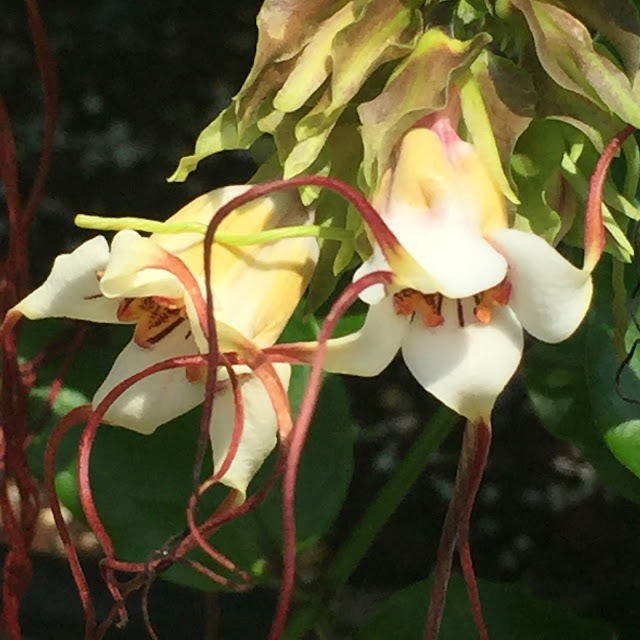 A pair of gorgeous blossoms from Strophanthus preussii, Medusa-Flower, at the National Gardens. who has formed us and loved us from time immemorial. your mercy and compassion sustain us all. 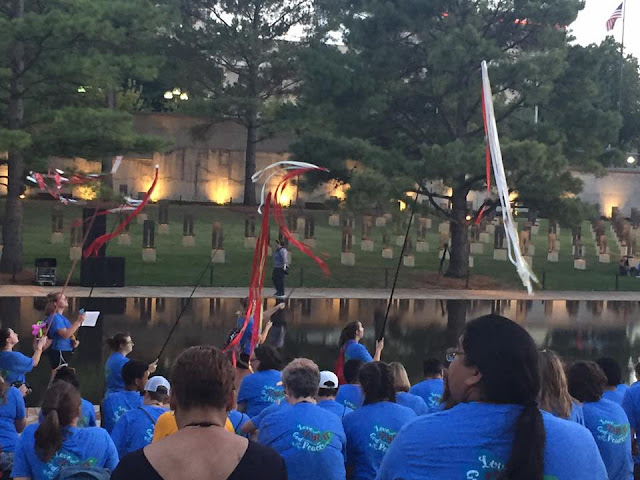 let us reconcile and heal our broken communities. that we may be led into peace and justice. as we seek fuller knowledge of your truth. may we be forces of healing and hope for all. and extend the blessing of peace over all for whom we pray. as we praise and bless your love in our lives. let us see with new eyes and hearts, O Christ. let us be guided to do your will, O Christ. let us atone for our wrongs, and reconcile, O Christ. may we never forget You are with us within the storm. and upon those whom we now name. St. Peter at the doors of the visitor's entrance at the Washington National Cathedral, with his net slung over his shoulder. 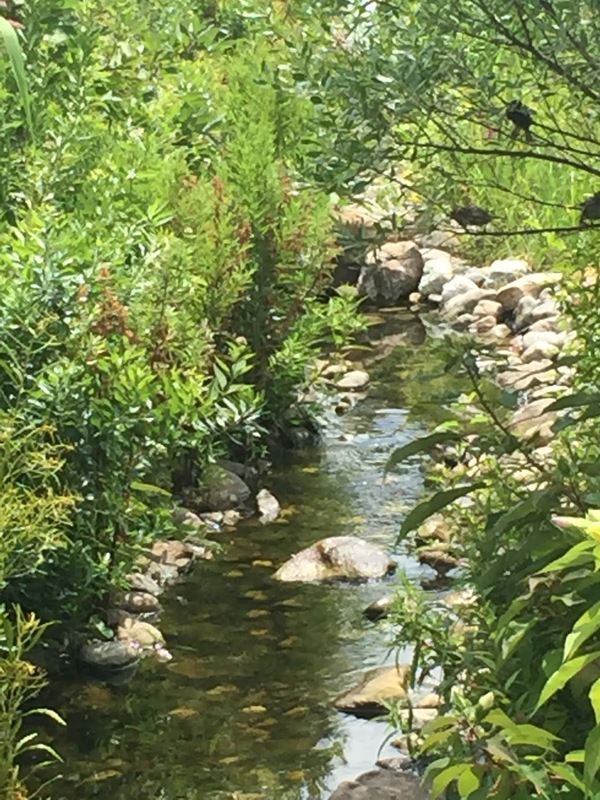 Sparrows rejoice in a stream in the National Gardens. let me think on God, and praise God's Name. my refuge to keep me safe above the raging storm. I find my home in your tender embrace. and I will sing to You even in the darkest hour. and knit my tattered heart together again. the prayers of friends to lift me up and ease my burdens. and this day grow deeper in charity, faith, and hope. that I may sing anew your grace in your community. and grant your blessing upon those we remember before you. and the round earth joins in praise of your Holy Name! let us worship God with all our hearts! your love is our shade and our strength. and our hearts rise on the wings of morning. that our kindness shine like the sun at midday. that we may serve You and each other with joy. and all those for whom we pray. 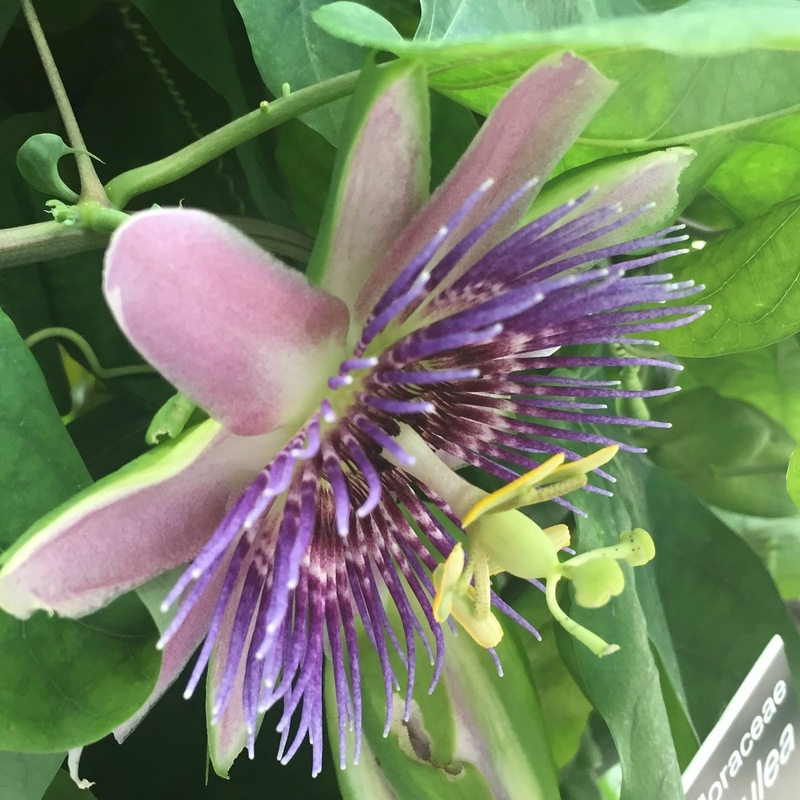 Passion flower at the National Garden. to the praise and glory of God's kingdom. and unity with God and each other. to persevere in the face of trial. and embody lovingkindness to all. 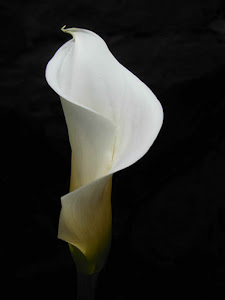 envelop these, your beloveds, for whom we pray. 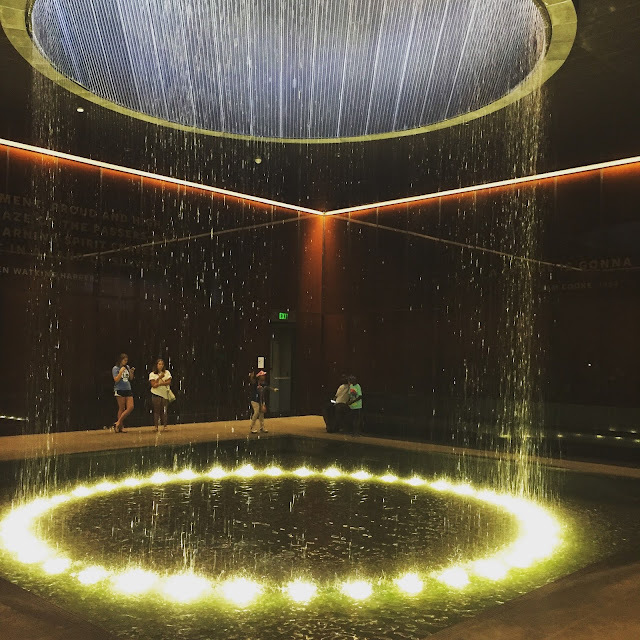 The fountain in the Contemplative Court lies at the end of the historical exhibits at the National Museum of African American History. the amazing gifts of your creation. 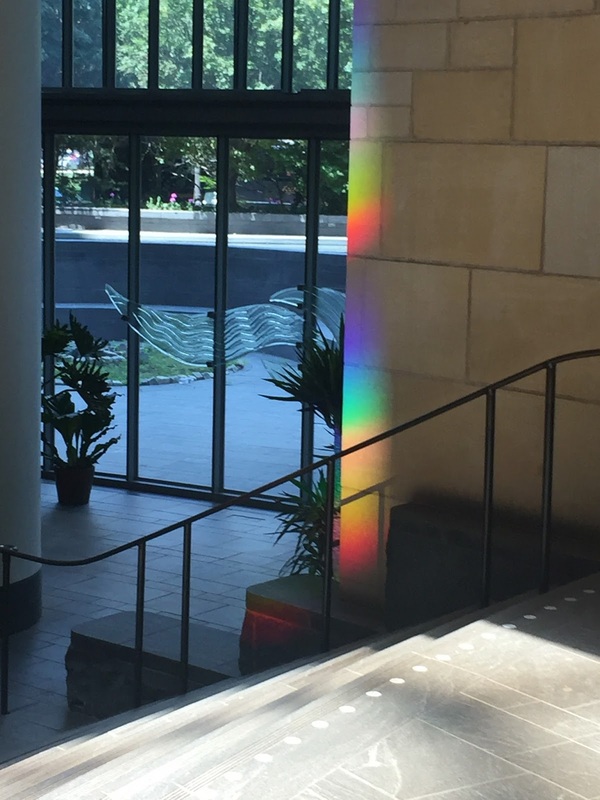 A rainbow cast against the floor and walls of the Museum of the American Indian in Washington, DC. it is right that we use it to sing and glorify your ever-present Love. May our thankfulness to You resound with each beat of our hearts. Now, O Eternal One, accept the prayers of your people for each need which has been offered in love. hear our prayers and praises, we humbly pray. 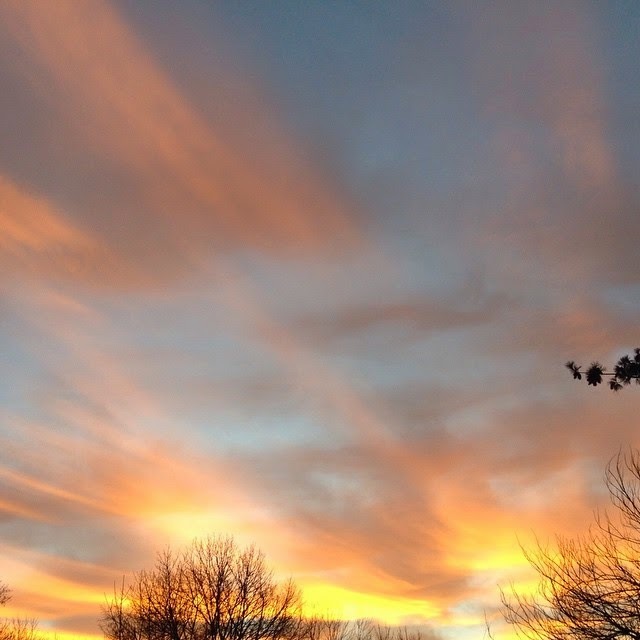 that we may see anew the unity and beauty of your creation. and help us to lean into your embrace in faithful trust. that we may honor the dignity of all whom we meet. as we offer our prayers for these beloveds. Most Merciful One, may we honor You in all we do this day. May we repent of our headstrong ways, O God, for we choose the crooked paths and rocky shoals even as You call to us to You. Fill us with your Holy Spirit, that we may be inspired bearers of your message of love and peace. Strengthen the hands of healers and helpers, that those who suffer may be brought to wholeness and relief. Pour out your peace like a balm on the weary of heart, and comfort the anxious and fearful who call upon You. Remember your children as they call upon your Holy Name. may we waken the dawn with our praise. and help us to repair relationships we have damaged. that we ourselves have received. living in imitation of Christ. and grant your peace to those we now name. 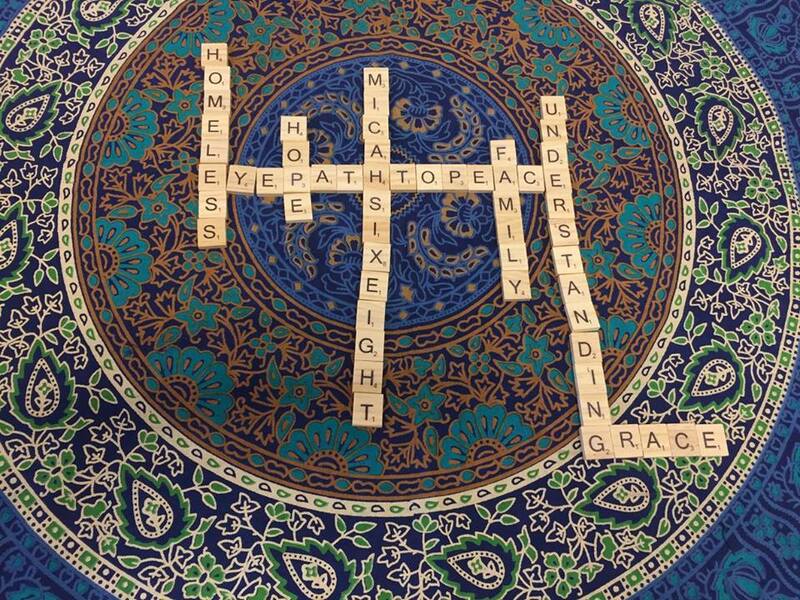 A contemplative space at the Episcopal Youth Event's chapel. who calls us before your altars for worship and praise! that they be fertile fields for your truth to be planted. and serve others through your gospel. for your glory, Lord Christ. and grant your peace to those we now remember. A contemplative space set aside in the chapel area at the Episcopal Youth Event this week in Edmond, Oklahoma. 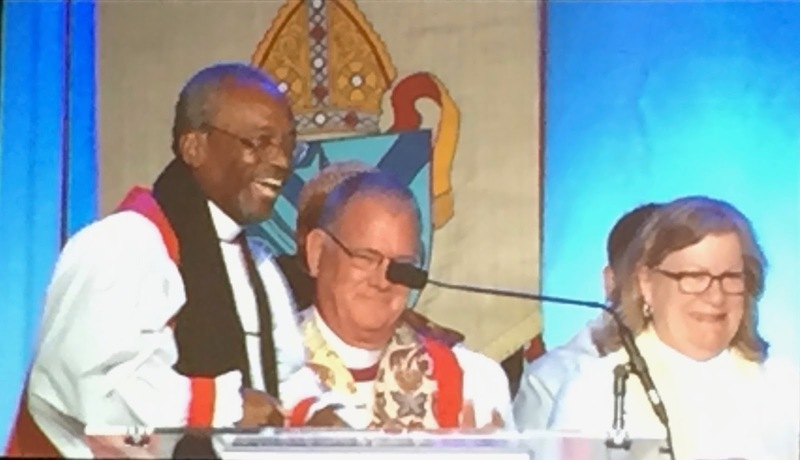 on the stage in front of an Episcopal flag that flew at Standing Rock. we rise and center ourselves in You in gratitude. amazed by your love in our lives. bound together through love of God. and alongside each other in peace. living into your dream of peace for us. Last night we had a candlelight Vespers service and vigil on the grounds of the Oklahoma City National Memorial. as we seek You and praise your saving power. to work your peace in the world. in a world too often divided and hurting. in the name of Christ, our Savior. and draw us to You, O God, in all we do. and grant your peace to all whom we now name. 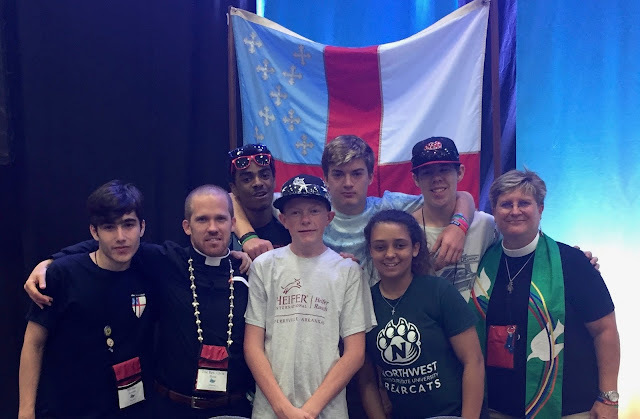 The contingent from the Diocese of Missouri at EYE17. and we rise to give you thanks. and draw us together in unity with all creation. and embody your truth and love in the world. in the world and each other. and grant them your peace beyond measure. and ask your blessing upon all for whom we pray. 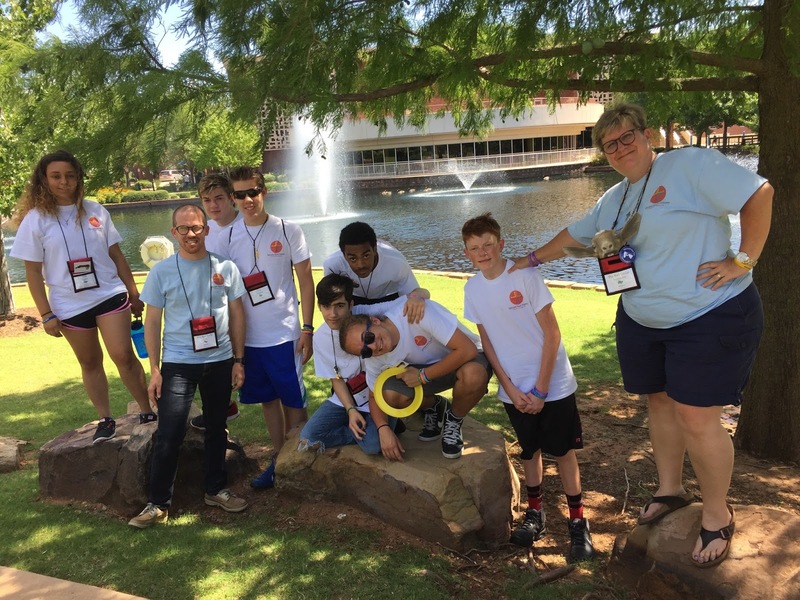 of the Episcopal Youth Even 2017, held in Edmond, OK. Blessed are You, O God of All Creation! Let us join our voices in one song of praise and thanksgiving! let our hearts be drawn to You on the Path to Peace. and walk humbly beside You always. and help to reconcile and forgive as we hope to be forgiven. and especially on those for whom we pray. We travel to the Episcopal Youth Event today! Arise, shine! May we travel a pilgrim's road today! within a mother's tender embrace hold us fast. walking in love with you and each other. or for those who suffer in any way. Our Creator, Our Guide, Our Shield. and bless and keep those for whom we pray. Today I return to preside at my home parish, Holy Communion in University City, which has raised me up and supported me through the long journey toward ordination. Thanks be to God for this community of the faithful! to offer God our thanks and praise with one voice. keep us as the apple of your eye. walking in fellowship, wisdom, and grace. that we may walk in justice and friendship with all. bound together in mutual respect and kindness. having borne your truth into the world in joy. 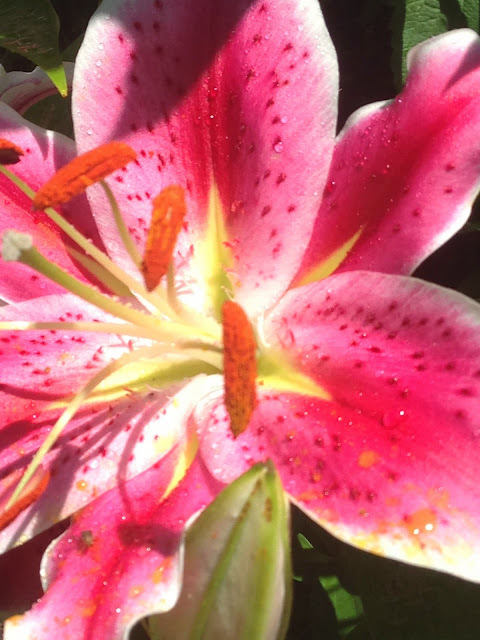 Lily blooms at the Missouri Botanical Garden. to the Eternal Lover of Our Souls. as they offer their praise and gratitude. that they may be filled with your grace and compassion. that we may joyfully place our shoulders to the wheel of restoration. whose hope is in You alone. Shine the light of your countenance upon those we now name.